The most obvious advantage is the money savings. Just by scheduling in such a way that usage is decreased during the day when the house is empty, or at night while everyone is asleep, you can begin saving. As more homeowners are conscientious about “going green”, a programmable thermostat is certainly a step in the right direction. Energy use is only increased when needed and it is conserved when it is not needed. Some models offer control via Wi-Fi. You’ll no longer have to worry about whether or not the thermostat was turned down when you leave for vacation, for example. Installing a programmable thermostat is relatively simple and can be done within an hour or so. For something that can save as much as 10% on your utility bill, that is a big return on your small investment of time and effort. Programmable thermostats are mercury free. Some models are so smart that they “learn” and will actually adjust your system accordingly by themselves. 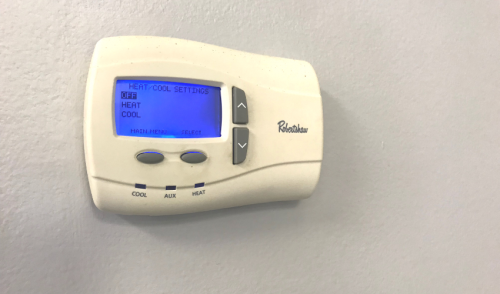 If you’re ready to upgrade your thermostat, stop in and take a look at the many types of programmable thermostats we have available. We are here to answer any questions you may have, and are happy to help you choose which programmable thermostat would be the best fit for your home.